Choose an outfit with matching shoes, bag, and jewelry to dress up the sweet girl so that she looks stunning when she goes out with her friends. Use the MOUSE and LEFT MOUSE BUTTON to choose a nice outfit with matching accessories to dress up the pretty girl. 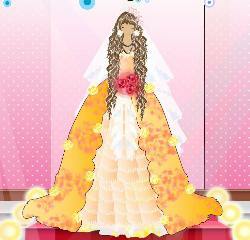 Click here to send Sweet Girl Dress Up to your friends using your default email program.